Maryland Art Conservation LLC is a woman-owned, small business established in 2018 (formerly Art Conservation Services). The mission of the business is to care for fine art with a specialty in conservation treatment, or restoration, of easel paintings. The studio also undertakes projects that involve conservation of some painted decorative finishes. 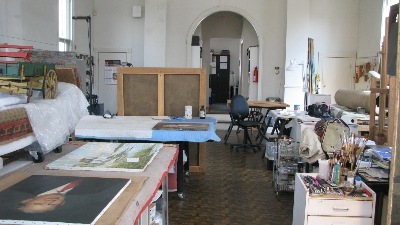 The studio is located in the city of Baltimore in the Belvedere Square area.